Enviromec provide consultancy by offering advice and guidance to the end users or intermediaries. We specialise in consulting for the provision of interceptors, separators, wash bays and water capture, as well as water recycling. 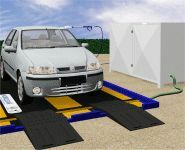 Enviromec also assist with gaining consent to discharge, and implementation of the Environment Agency's PPG Guidelines. 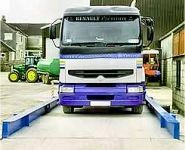 We can also organise the design, build and installation of custom-made vehicle washing systems, weighbridge and wheel wash systems or train and carriage wash machines to fit your unique and special requirements. Enviromec is highly experienced at working with and consulting to many different industry types including heavy industry, rail, quarry works, agriculture, food industries, wholesale and retail outlets. We work with local government, airport authorities, shipping and transport sectors, waste management, automotive and other manufacturing organisations and the defence industry. 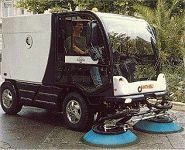 Enviromec also organises the export of industrial cleaning equipment all over the World. We can also provide installation and after sales support via agents and distributors and we can contact active agents based in Countries including Australia, Ireland, Germany, Singapore, Saudi Arabia, India, UAE, Netherlands, Iran, Malaysia, Korea, Romania, Egypt, United Kingdom, New Zealand and Thailand. Projects completed at numerous U.K. locations include the installation of automated cleaning systems for the MoD, RAF, and Local Authorities as well as numerous blue chip organisations. 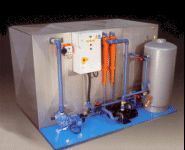 Specialist projects include desalination projects in Vietnam, portable high pressure units to Nepal, supply of interceptors to Iraq, separators to Malta, battle-tank washing systems and helicopter wash stations. 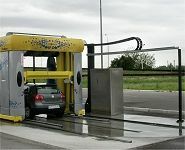 Enviromec can also specify and procure the supply of weigh bridge and wheel wash systems, as well as drive through and gantry lorry wash and bus wash machines for warehouse and transportation hubs via our network of agents and dealers. The rail industry plays an important part in Enviromec's client base, and our partners install bespoke solutions built to individual customer's needs, which are based on proven standard equipment designs. Our partners provide customers with consistently clean trains and carriages. 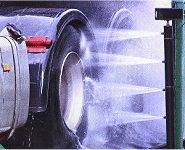 Systems utilise both Drive Through or Moving Gantry Roll-Over carriage washing methods. 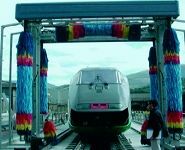 Approved within the rail industry, our installers are routinely in excess of the railway standard and offer a full range of carriage and train wash systems to all its customers whether the project is for external body or under-frame cleaning. We will be very pleased to receive your UK or overseas enquiry and your Enviromec experience will include, where applicable, site surveys, comprehensive advice, the arrangement of demonstrations or trials, and organising a reliable service package including a comprehensive stock of parts and a flexible accessories package. We also procure contract or planned maintenance of all makes of equipment. Enviromec has a successful history or organising low and flexible payments which improves capital allowances, cash flow, and simplifies budgeted monthly payments. Capital Equipment can be purchased by invoice discounting, and our group finance offers in house credit facilities, please ask for details.